Let’s begin by understanding the concept of Best tips for Secret to Reseller Hosting Profit by Host.co.in. The ‘reseller hosting account’ is purchased by a hosting reseller from hosting providers or from owners of a DC. After buying this account, it is sold to others and profit is earned over it. Generally, server space is brought in huge amount and re-selling it to clients in order to gain returns from it. 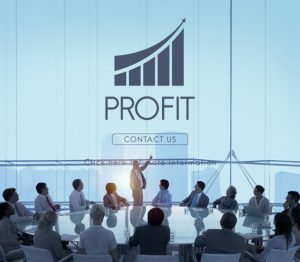 In this article you will be introduced to the secret behind successful resellers that earn great profits also you will understand all the customer pain points related to reseller hosting services and how to get rid of them all. Hosting business is the most competing field on the web. In the last few years’ hundreds and thousands of people have started hosting their businesses on the web. Also, the count of the reseller has increased across the globe. In spite of the sudden rise in the number of people who have stepped in the world of getting their business hosted, it doesn’t mean that all owners are customers of web hosting services. In a situation like this one, in order to sustain hosting businesses and to obtain new clients hosting resellers have to plan and acquire a strategy. A strategy where they offer a price cut on the hosting packages they provide to their clients. Type-1: This churn is non-renewal of the domain itself. Type-2: The domain services are migrated to some other hosting provider. Reasons, why Type-1 churns, are lost: Generally when potential clients see no value in going online and when the requirements such as lead generations, order, and sign-ups are not fulfilled. Type-2 churns are lost due to poor renewal follow up the process by existing hosts, some flaws detected in the online payment process for customers, also these days there is easy domain transfer from one registrar to another. Hosting Reseller must get on their toes at all times to acquire new customers, provide required services in order to retain customers. Since domains are renewed every year the resellers have to renew their customer plans annually. It also means resellers have to adopt new technologies for their clients only once annually. If this is missed, the year followed by it, the customer runs on an outdated technology. Some updates include the patterns like offline payments that have been replaced by online payment softwares and payment gateways and mobile wallets. The increase in preference of chat support over phone support, self-help video/pdf have been replaced by knowledge bases. 1. Combining web hosting and other related services: When a start-up is established and when it is in the very initial stage, web hosting is generally at the bottom of the table. So there should be initiatives taken by the providers wherein apart from providing reseller and hosting and domain registration only. Hosting providers should provide some additional services such as site development, shopping cart, CRM software and payment gateway integration. Since security is a major concern these days, SSL certificates, certain security scanning services too should be provided. Few more added services such as search engine optimization followed by lead generation, and other such activities that help in generating revenue of the brand. Instead of providing just a small part of clients’ brand presence on the web, hosting services providers should focus on how they can effectively offer an end-to-end solution for all the online processes. 2. Implementing best practices: Out of the two churns we discussed above, the Type-2 Churn that wishes to get transferred to another provider is not happy about the services because of these reasons in specific: Users are not satisfied with services offered. Another reason could be because clients are unhappy with the way the product is been offered. Both of these issues can be resolved by prospecting them correctly before the signup process. Hosting providers can also pre-educate them about numerous possibilities, restrictions and also about the usage terms. Web Hosting Resellers have a lot of opportunities of offering a wide range of services to their users also understanding their needs, working on it to provide an apt way out is equally important. A lot of resellers tend to overlook the customer’s needs. This can lead to dissatisfaction and customer loss.